Our History — Change Agent Network, Inc. In 1990, Eric Willise Wowoh the founder of Change Agent Network was captured by rebel fighters during the brutal Liberian civil war. Eric and some of his childhood friends were returning home from a two-day fishing trip to help provide food for his siblings and parents at home in his home town of Bong Mines in Lower Bong County, Liberia, West Africa. Rebels captured Eric to turn him into a child soldier but he refused and was severely beaten, tortured, and left to die. Eric was set free by the grace of God with both of his arms broken. Eric left his home country of Liberia into exile probably around the age of 12 alone and not knowing the where abouts of his parents at all. Eric Wowoh is not quite sure of his age because he doesn’t have a birth certificate. He was born in a very remote village where there was no hospital and his parents were not educated to document his birth date. Eric became an international refugee as a child and lived in over a dozen refugee camps for 16 years in about ten different nations in West Africa. In 2003, Eric Wowoh was given a desktop computer by a very good Nigerian friend and brother of his Mr. Desmond Ovbiagele as a gift with the intention of Eric learning how to use the computer. Mr. Desmond hired a fellow Liberian refugee, Mr. Edward Tambah, for a few months to train Eric in basic computing. Eric took that one single desktop computer developed it and multiplied it into a conventional community based computer school for fellow refugees and members of the surrounding host communities. Eric Wowoh with no prior training in anything, built two computer training schools in the refugee camp, trained and graduated about 700 refugees from all over the continent of Africa such as Sierra Leone, Sudan, Ethiopia, Somalia including citizens of the host country (Nigeria). Eric and his partner called the computer training centers in the refugee camps; The 842 Technologies Computer Training Center but now the program is called 842 Computer Technology School. From that one single desktop computer, Eric and his volunteer team in the refugee camp were able to multiply it, train and graduat about 700 students mostly refugees from all over the continent of Africa. In 2006, Eric was awarded with the Rare Gem award by the Women’s Optimum Development Foundation for his contributions to humanity, service to women and children. He was honored in commemoration of International Women’s Day 2006. Towards the end of 2006, Eric Wowoh was brought to Lafayette, Louisiana USA on a refugee resettlement program administered by the American Government and the Migration and Refugee Services of the Conference of Catholic Bishops of America, Diocese of Lafayette Louisiana. According to Eric Wowoh, the whole idea behind the expansion of his amazing work to Liberia was to take away guns from young people and give them hope and opportunity by providing them with free computer skills to help prepare them for the future labor market of Liberia as well as assist them become useful and productive citizens of the world in the rebuilding process of their destroyed nation. “The children are the future of everything we do today! But Liberia since its independence in the 1800's have unfortunately paid attention to her future thereby forcing her young people to fight a war they did not decide or had any knowledge of at all. This is all because of greed, corruption, generational neglect and total lack of concern for fellow human beings by past generations. Eric’s ultimate goal is to give back to the next generation of his country so that they can have something important to give to the next generation coming right after them and leave the country better than they met it! In 2008, Eric Wowoh, after just a year of being in America, returned to Liberia with his fellow Liberian friend and brother in the Lord Michael Johnson. Prior to this time, Eric and the Change Agent Network were only involved with computer education for young people in Liberia. Looking at the deplorable situation of education in their country with no hope for the next generation and having a sense of personal responsibility to change the story both Michael and Eric contributed $2,000 each to jumpstart the construction of their first academic school on the same piece of land as the computer school. This was the beginning of the Change Agent Network becoming involved with academic programing in post war Liberia. Also in 2008 Eric became overwhelmed in America by the excess waste of things, and started a special program in CAN called Yesterday’s Treasure, Tomorrow’s Hope. The first 40-foot (18 wheeler) container of educational/relief supplies was shipped to Liberia. Since then, Eric and the Change Agent Network have shipped about ten containers over the years and most recently shipped three containers of food and medical supplies to Liberia and Sierra Leone to help save lives in the wake of the deadly Ebola Epidemic in West Africa. 2010 – 2015 Change Agent Network has grown exponentially both here in the US and abroad. CAN now has offices in Louisiana, Maryland, Missouri, and Texas. In Liberia, the organization has expanded its educational and development programs nationwide to include five other counties in the country, namely Montserrado. Bong, Lofa, Grand Bassa and Bomi County. 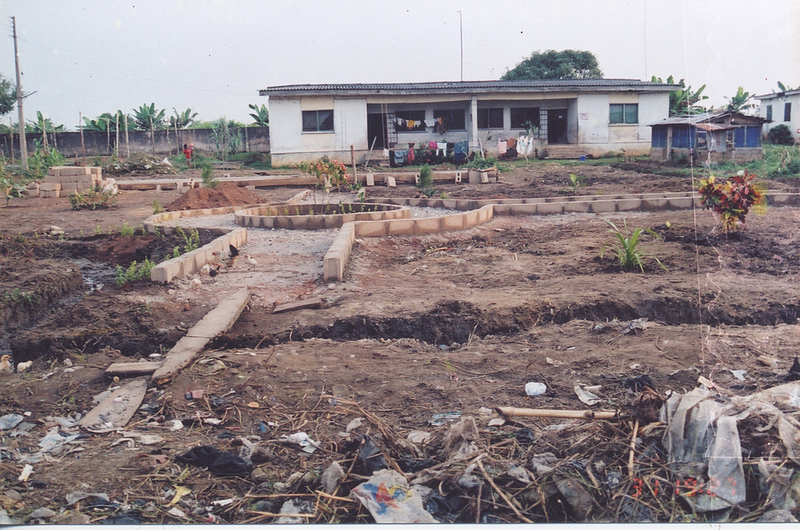 TODAY, the Change Agent Network has built 14 schools across the country of Liberia. Educating 3,000 impoverished children, CAN has 200 employees on payroll in Liberia, and is directly impacting the lives of about 17,500 Liberians. There is also on-going construction of the Change Agent Network University (CAN-U) located in Fessibu Town, Zorzor District Lofa County in Northern Liberia. Eric Wowoh, his partners and refugees volunteer team carried out their second computer school building campaign in the refugee camp.